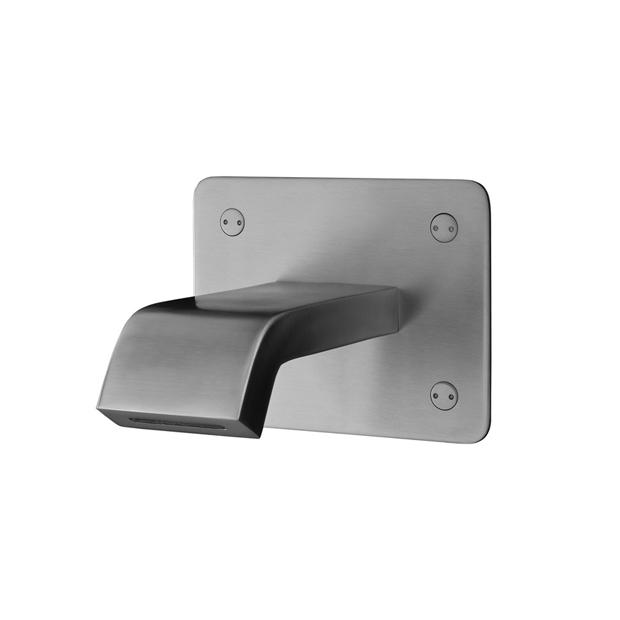 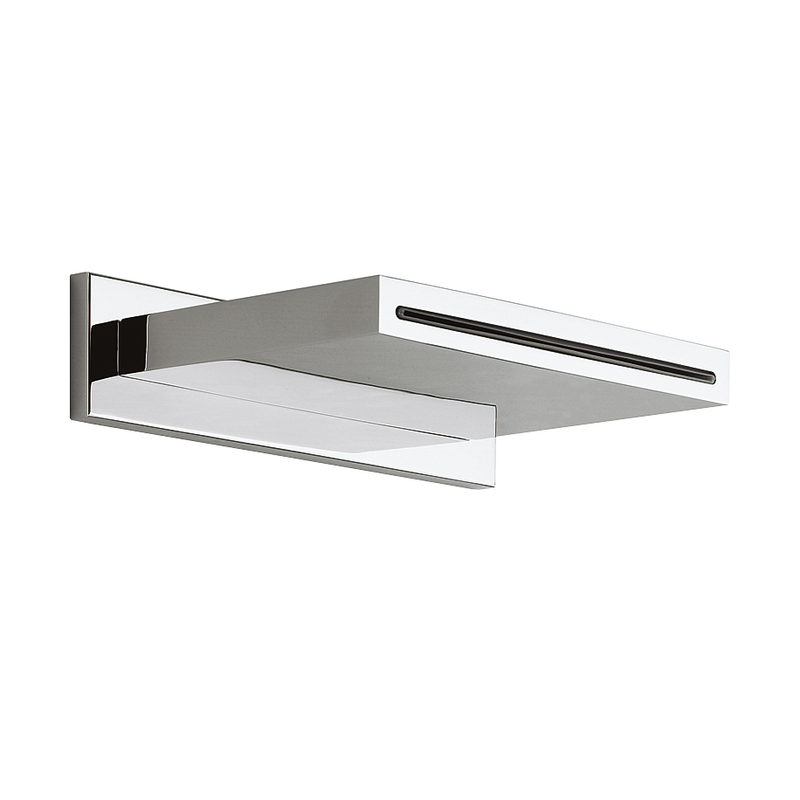 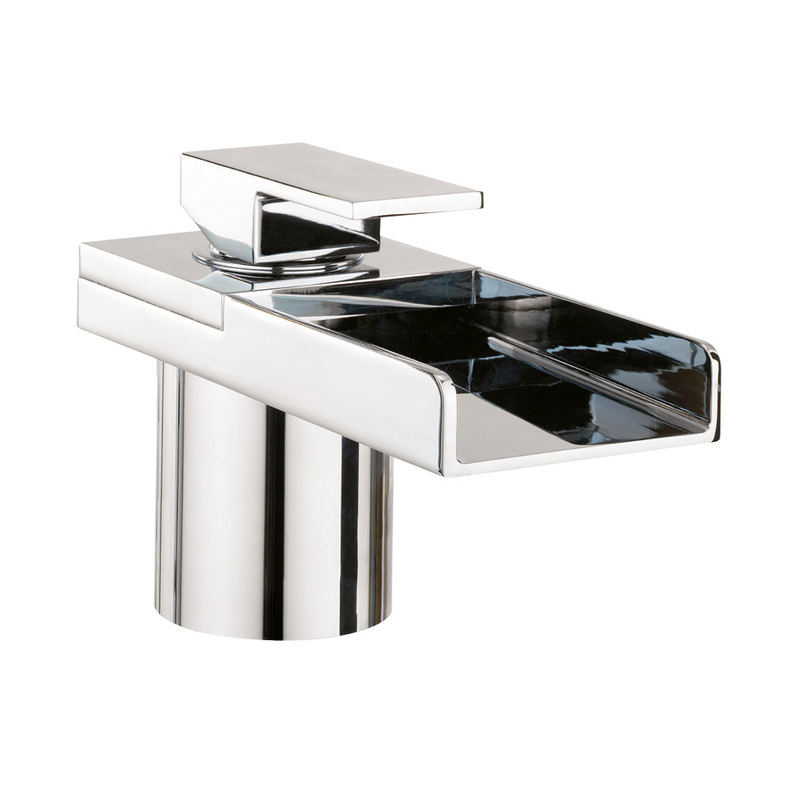 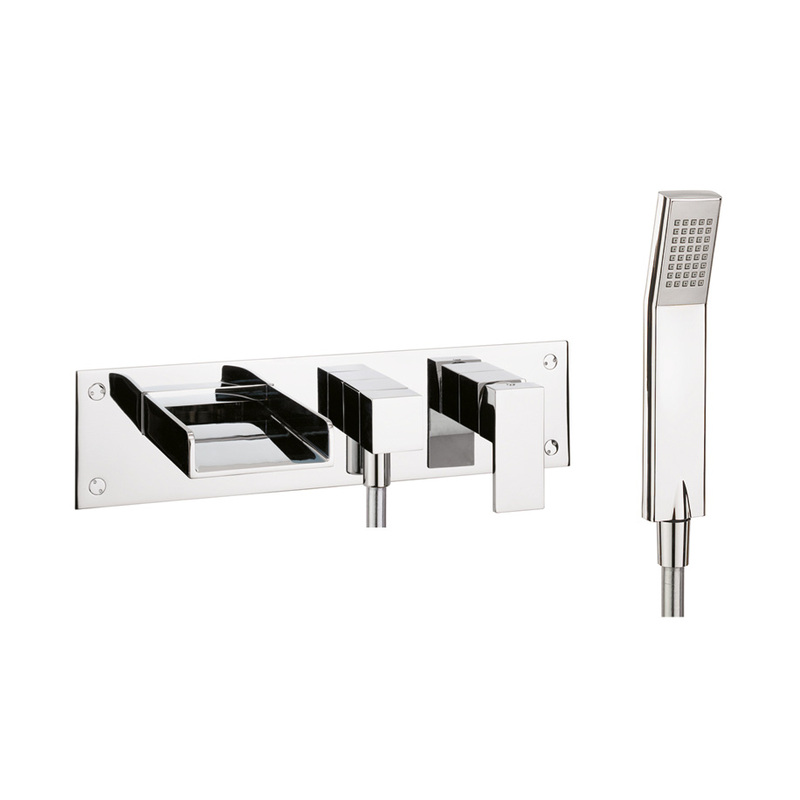 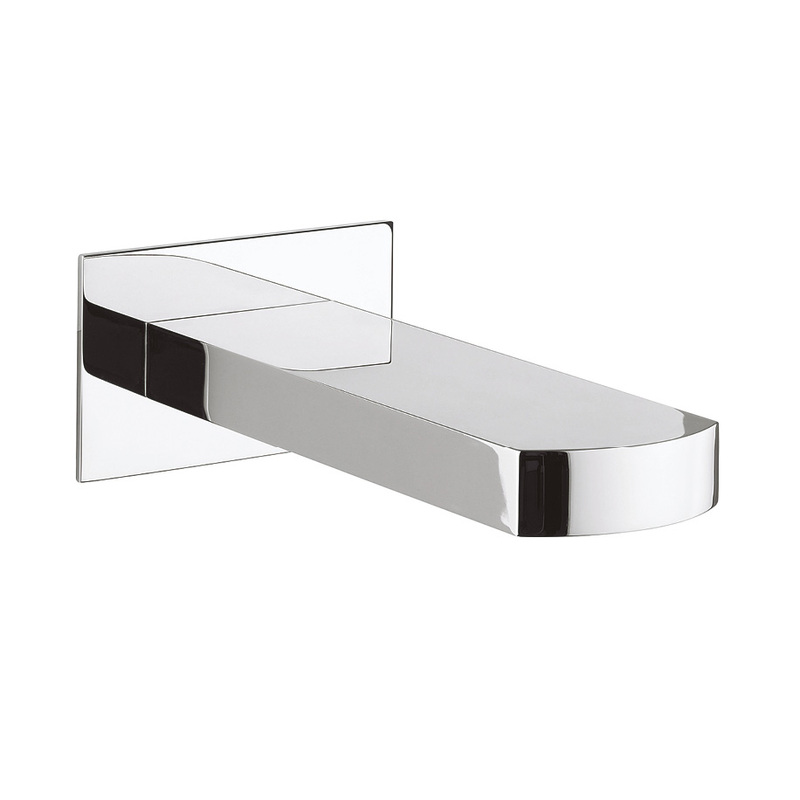 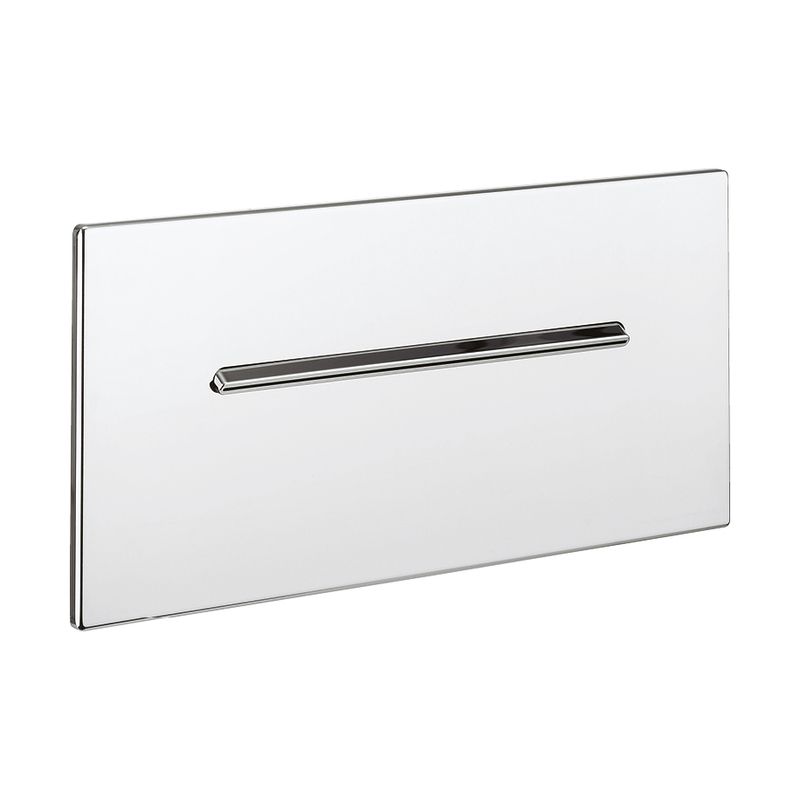 Stainless steel AISI304 wall wash basin spout with free cascade outflow. 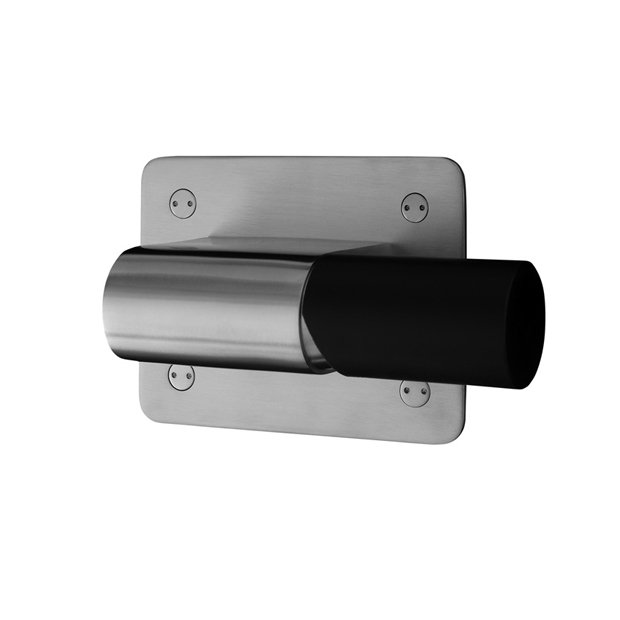 Fixed lenght 141mm. 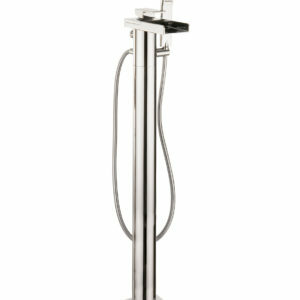 Flow at 3 bar: 8,7 lit/min. 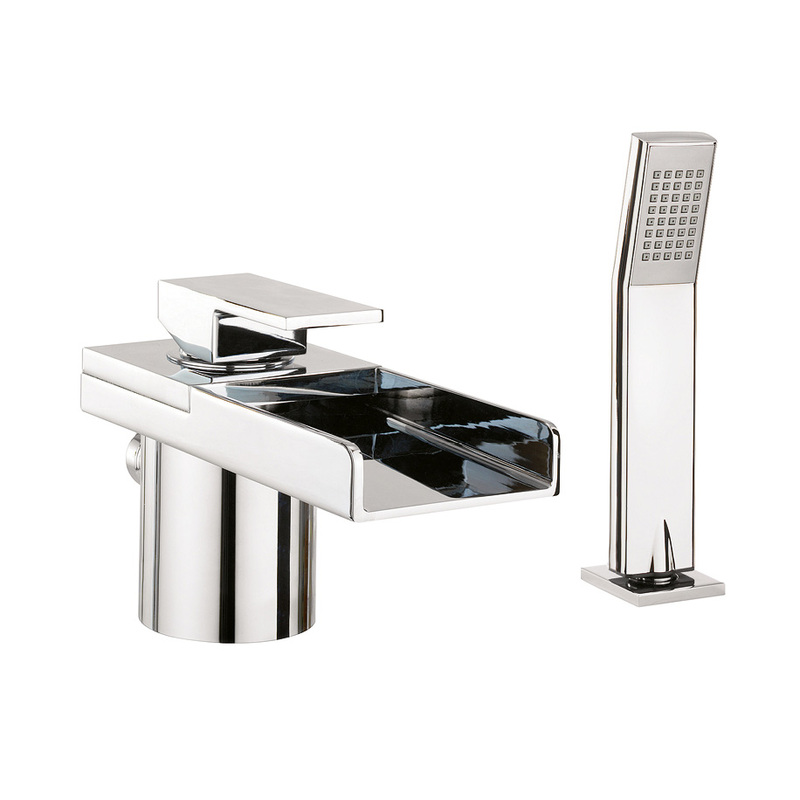 Stainless steel AISI316 concealed wash basin mixer. 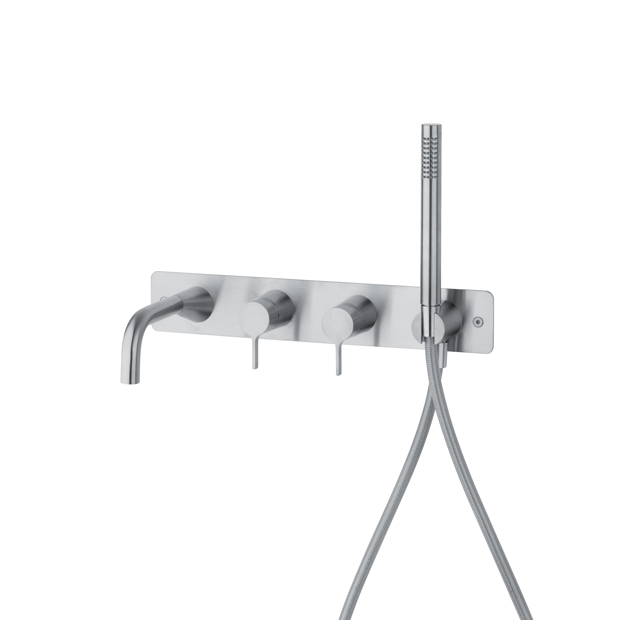 Available with black handle (cod.LN) with white handle (cod.LB). 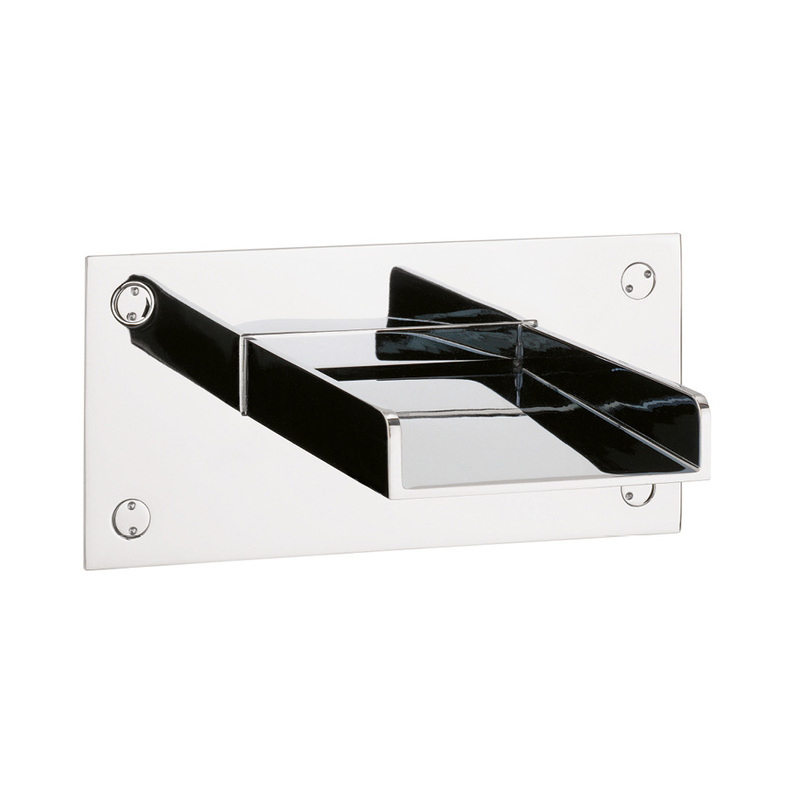 Supplied with two John Guest connections. 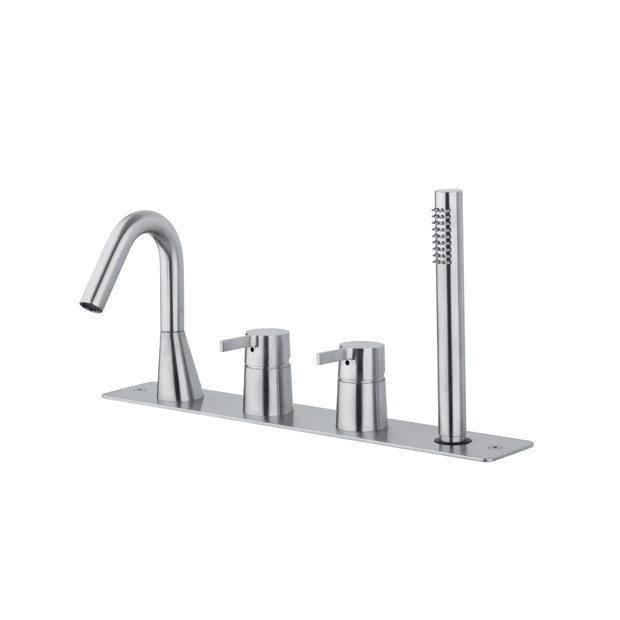 Rim mounted set with with mixer, two ways diverter, stainless steel showe-kit, spout and plate.